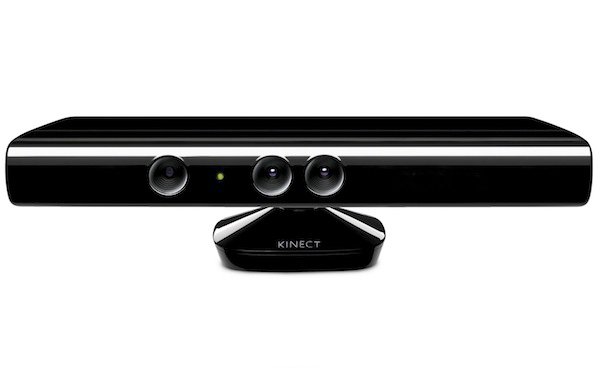 Now when we know what is Kinect, I suggest to find out step by step how it works. It will be needed some time to connect it to openwrt. Time to look into software. First I suggest to start to start using/testing Kinect under Linux, and then maybe we will reach Kinect adaptation under openwrt. Let's download the drivers providing hardware support of camera and sensing units of Kinect. As far as I understand there are two variants of drivers: it is a project OpenNi and a project libfreenect. I suggest to try to build the project OpenNi. There are two ways of building of this project. The first one is to run the script: OpenNI/Platform/Linux - x86/CreateRedist/RedistMaker. The second is more usual for us: to run "make". I suggest to go the second way. The drivers of the project OpenNi support apparently only PrimeSensor. For supporting of Kinect there is «fork from PrimeSense to support the Kinect» named boilerbots https://github.com/boilerbots. Branch kinect set up to track remote branch kinect from origin. Further we download the latest version of the OpenNi Middleware Binaries from here. Now we can go to the directory OpenNI/Platform/Linux-x86/Bin/Release or to the directory Nite/Samples/Bin/Release and run the working examples. To understand the difference between the projects OpenNi and «OpenKinect project- libfreenect» I suggest building of the project libfreenect. Let’s press «g» for file generating and exit. 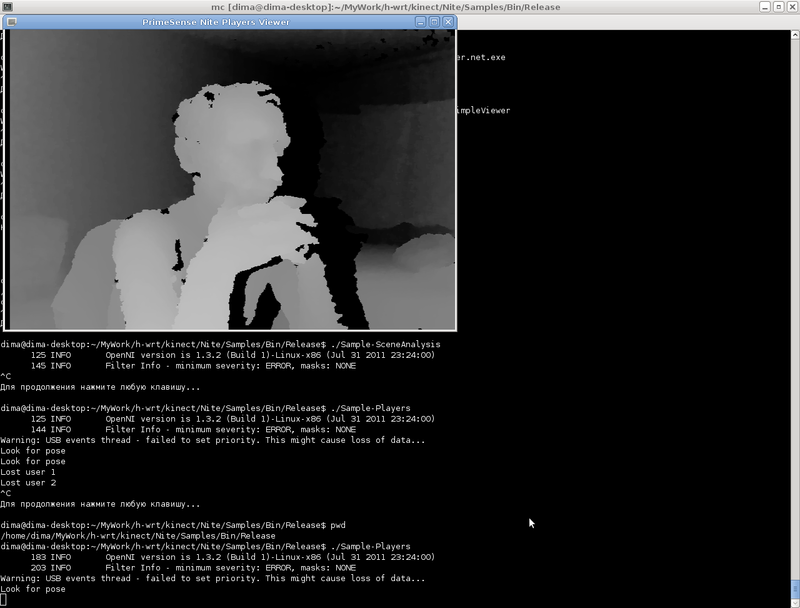 The working examples are here: kinect/libfreenect/build/bin.